Ann Lewin draws on her extensive experience as a retreat leader and writer to provide a feast of spiritual nourishment for the entire Christian year. Her minimalist style is intentional, allowing space for people to encounter God and respond in their own way. Her aim is to encourage readers to explore afresh the riches of God's love and to find fresh ways of expressing that love. Seasons of Grace is arranged in three parts:Advent to Candlemas,Lent to Pentecost,& Ordinary time,and offers seasonal liturgies, prayers for special occasions, imaginative ideas for worship, themed reflections, programme ideas for workshops and retreats and practical suggestions for enriching one's own spiritual life. Ann's characteristic poems and prayers throughout are a delight. First published in 2005 under the title Words by the Way by Inspire (MPH), this new edition contains added new material. 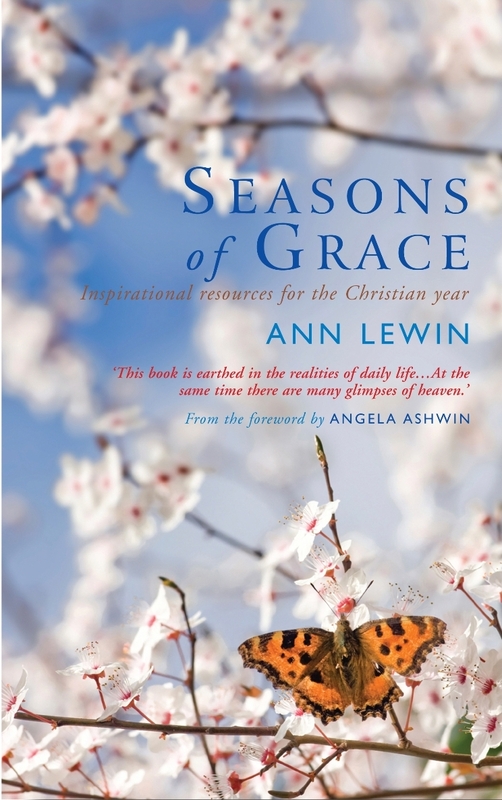 Seasons of Grace by Ann Lewin was published by Canterbury Press in May 2013 and is our 4247th best seller. The ISBN for Seasons of Grace is 9781848250901. This is a book to use throughout the year, both for inspiration and sound teaching. Far more than a resource book, it is a good companion on the road, framed by the changing seasons of our church calendar and the seasons of our seasonal country. There is honesty about our relationship with God, about the problems of living the Christian life: things go wrong, but God is there with us in the pain. I feel that the book’s purpose is summed up on page 59, based on what the Benedictines call the conversion of life: it will help us towards a ‘steady, continual turning to focus on God, opening up to God’s Spirit, so that Christ can live his risen life in us.’ There are many practical ideas as well as spiritual insights; I love the notion of ‘re-tuning’ rather than ‘re-charging’ and the idea of a mini-pilgrimage in one’s locality, using local knowledge. Got a question? No problem! Just click here to ask us about Seasons of Grace.